Thomas – I know you’ve posted before about the NBC chimes, so I thought you might be interested to know that CHRS, the California Historical Radio Society, has acquired one of 8 original NBC chime machines. They don’t think that more than a dozen were ever made. CHRS have their own building on the island of Alameda, CA, and are putting a huge amount of time and work into amassing an impressive collection of vintage radio gear. [I]f you scroll about 1/3 way down this page, you’ll see the news, along with a brief history of an NBC chime machine, and pictures of the one they now have in their collection. It is a rare find indeed! Click here to read the new on the CHRS newsletter. Very cool! Thank you for sharing this, Dave! I’m very happy to hear that these chimes have proper custodians. This entry was posted in News, Nostalgia, Radio History and tagged Dave Richards AA7EE, NBC, NBC Chimes on April 8, 2018 by Thomas. 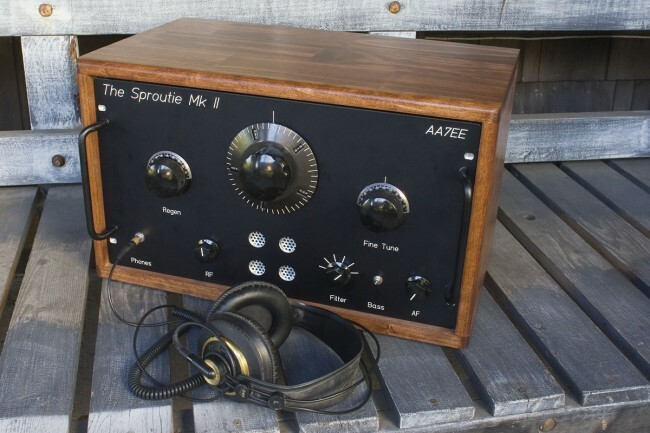 Regular SWLing Post readers might recall the gorgeous Sproutie MKII regenerative receiver my buddy Dave Richards (AA7EE) built last year. 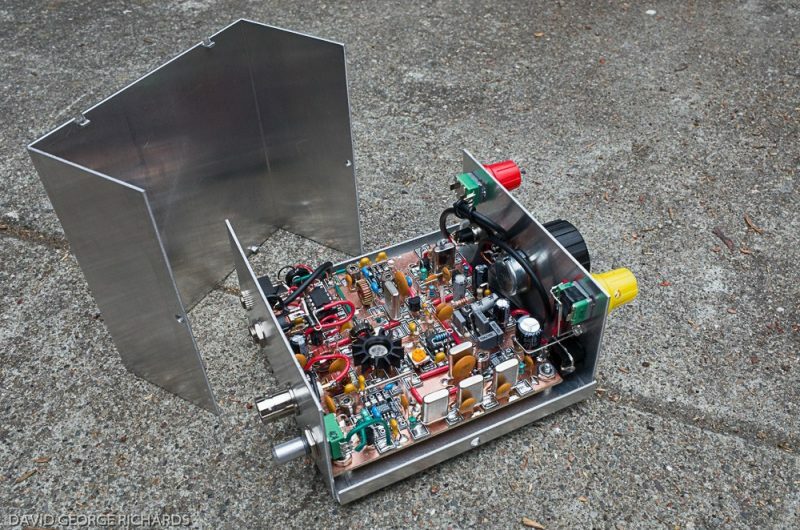 No doubt, Dave does a proper job with his homebrew radios–a talented builder and engineer indeed! 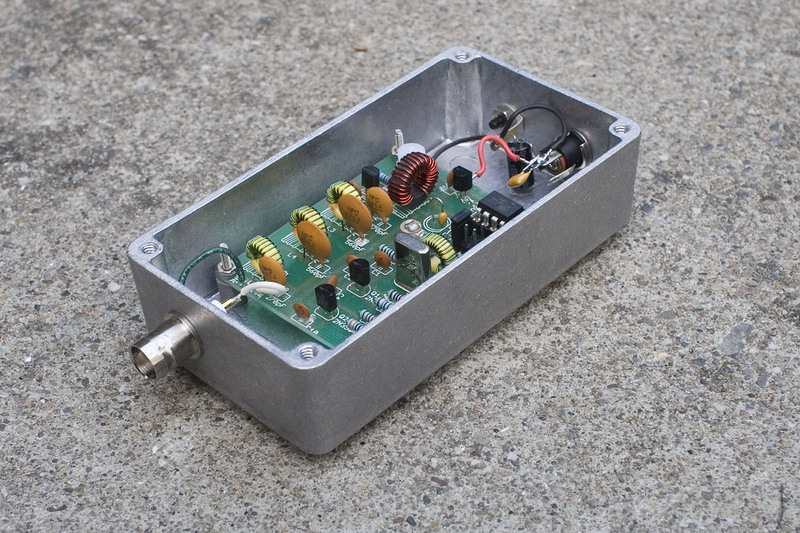 Check out Dave’s latest homebrew project: A Scratch-Build of N6KR and Wilderness Radio’s SST for 20M. Dave’s notes and images are so thorough, you could use his article as a reference to build your own! Fantastic job, Dave! Click here to read Dave’s full post and be inspired! This entry was posted in Ham Radio, How To, News and tagged Dave Richards AA7EE, Ham Radio, Homebrew, QRP, SST transceiver on September 11, 2016 by Thomas. Dave Richards (AA7EE), has just published a brilliant post about his new beacon: the Sproutie SPT Beacon. Readers: let’s give Dave some reception reports! Though I live on the opposite side of North America, I will certainly be listening! Dave, thanks again for publishing such an informative and detailed post! You’ve inspired me to build my own beacon. This entry was posted in Ham Radio, How To, Kits, News, Tutorials and tagged AA7EE, Dave Richards AA7EE, HiFER beacons, Homebrew, Sproutie SPT Beacon on November 24, 2015 by Thomas.